One of the joys of building Jasmine is that we get the privilege and opportunity to speak with many acupuncturists. A question that comes up from time to time is "Do you know anything about SEO?" SEO is one of those things we've all heard about and we know it's good for us. But exactly what it is, we have no idea and no idea of how to go about it. In this post, I'll outline a few simple steps to help you get started with SEO. First off, SEO stands for Search Engine Optimization. And at a high level, that's all it is, which is optimizing our website for search engines. To understand SEO, one first needs to understand that search engines are really dumb. All they really understand are words and strings of words. So they need our help to help them understand which words best represent our business and website. 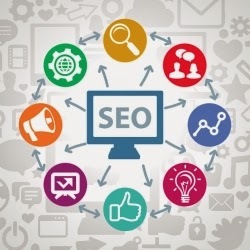 Below are some simple steps you can use to start implementing SEO for your acupuncture business website. The first thing we want to think about is who's our target market(s). Knowing this will help us market our business and tailor our website to these people. Keep in mind that we can segment the market in many ways. I would start with a couple markets and expand from there. For example, we might want to target people in a specific local and with a specific pain that can be treated with acupuncture. As you'll notice with "Athletes", a market can be segmented into smaller markets. And the more targeted we can be with our markets, the more effective our SEO will be. After we've picked a couple target markets, we'll then think about which keywords are relevant to our target market. And, by that, I mean, what are the actual words people will be putting into the Google search box. Just think about how you would search for something. Another tip, always be asking new patients how they found you. And if they used Google, which search terms they used. Now that we know our markets and the keywords, we can start tailoring our website. One of the main things search engines look for is our page title. The title of the page is also what is displayed to the user in the search results. In addition to title tags, search engines will look for our description meta tag. These give search engines a summary of what our website is about. Also, the description meta tag is displayed in search results as the description for our website. Google loves new relevant content. So, continuously updating your website and writing blog posts that are relevant to our target market will get the attention of Google and rank us higher in search results. When writing content, if we are informative and relevant, we'll naturally come up with SEO relevant terms. We don't need to over complicate things. Finally, we'll want to tell people about what we're doing and the new content that we're creating. By telling people, we will establish ourselves as a leader and expert in our field. In your case, an acupuncturists who's a thought leader and expert of certain treatments. And the added bonus is that this creates links back to our website and gives us good Google points. For extra points, we can track how people are finding our website. The only way to truly understand our web presence is to measure it. Google offers a great tool for us to easily drop analytics onto our website through Google Analytics. In addition, Google supplies us with another tool called Webmaster Tools to help us understand what Google knows about our website. HubSpot is a free tool which grades websites and gives suggestions on how to improve our marketing. Below are a couple references on SEO, they are fairly short and will give you a nice overview of SEO. In conclusion, SEO is only half of your marketing strategy. The more important part is to go out into the communities you're serving and talking to people face to face. As always, I love to hear your comments and stories. You can reach me at contact@jasminepm.com.